If you receive an unexpected message asking you to update your Adobe Flash Player, think twice before pressing the update button. This is an old strategy used by hackers to install malware on your computer. Unfortunately, their trick really works because the fact of using a reliable software developer’s name gives credibility to the update pop-up. The fake Adobe Flash Update window is extremely well-designed, leaving no reason for suspicion. What it worse is that sometimes, the content of these fake update pop-ups is actually distributed through legitimate websites, which gives the illusion of legitimate-enough update windows. According to users’ reports, the fake Adobe Flash Update often takes over your search engine, pop-ups various ad windows or slows down your computer. Adobe is aware of this issue, and has confirmed it uses strict and redundant security controls to make sure the software it ships is authentic. 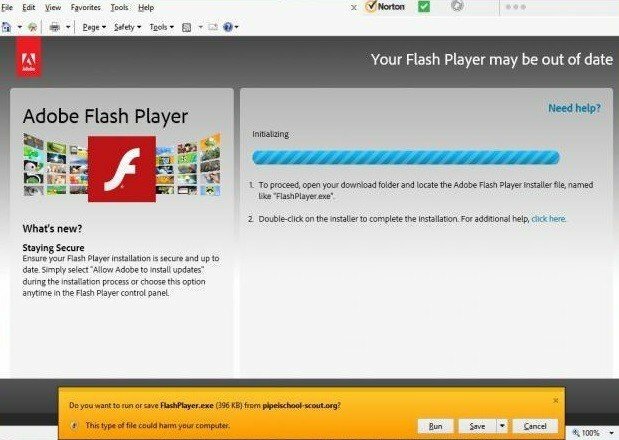 The company added it can’t do anything to stop these fake Adobe Flash update pop-ups as long as users are getting them from another source. Always download the software directly from Adobe’s official website, and never follow links in pop-ups or emails. When installing the software/ the update, allow your computer to automatically perform the action for you. Use a browser that bundles Flash Player as a built-in component, (Google Chrome, IE or Edge on Windows 8 and higher). The advantage is that the browser and the OS handle the updates, no separate download or install in required. 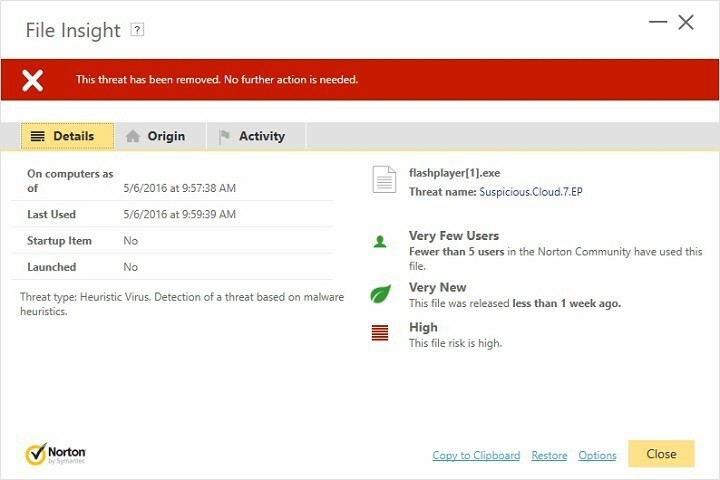 If you’ve already clicked on the fake update invitation, run a full system scan and install one of the the anti-hacking tools listed in our “10 best anti-hacking software for Windows 10“article.